Once I sent my family photos, brother thought it was the "dumbest thing he's ever seen" and mother asked if I was taking advantage of the fact that recreational marijuana was legalized here in Boulder. You win some, you lose some, folks. Possibly my favorite DIY project to date, this deer head project unfolded quickly and I just could not wait to get started. It all started when I found the ugly resin deer head on ebay. It's ebay items like these in which I wonder - why does this person even have this in the FIRST place? That's neither here nor there, I suppose, but don't pretend like you didn't wonder. 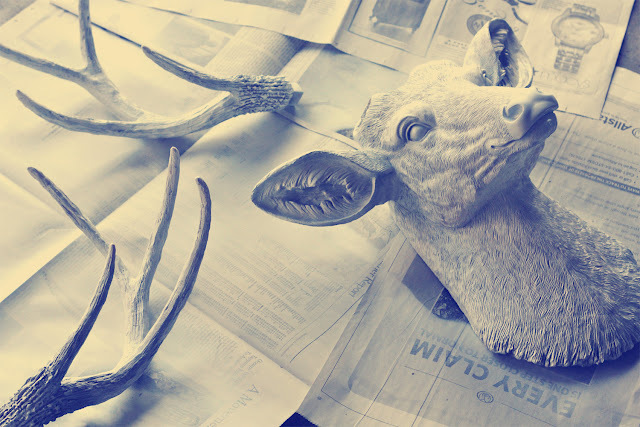 These faux taxidermy pieces are retailing anywhere from $100-200 (plus shipping). 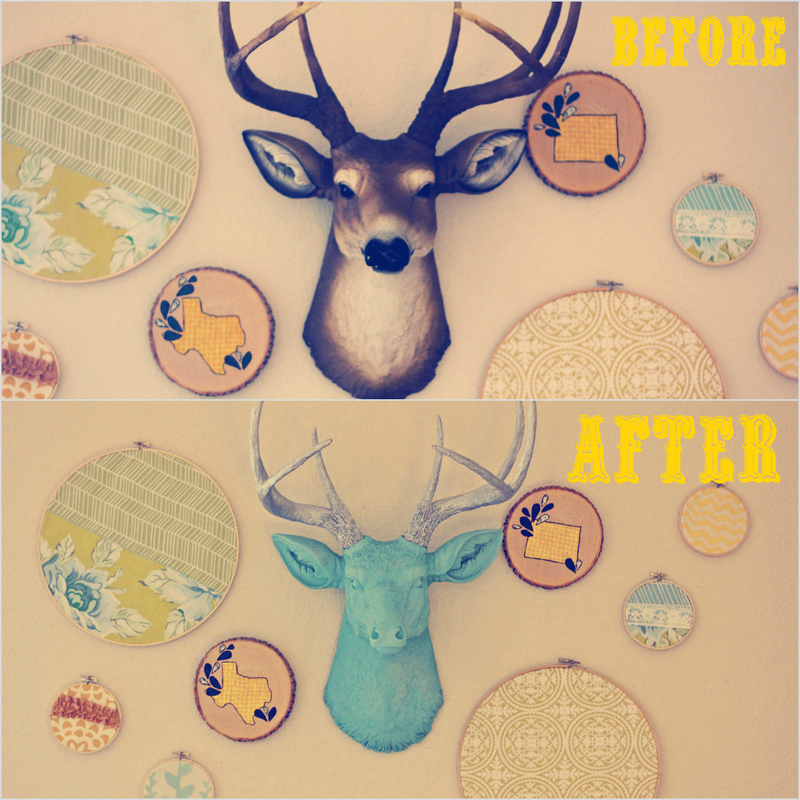 I spent a total of $75, which is still a lot for a DIY project, but I deemed this one worthy. It was a hilarious sight in the Davis household when Mr. Stag arrived. 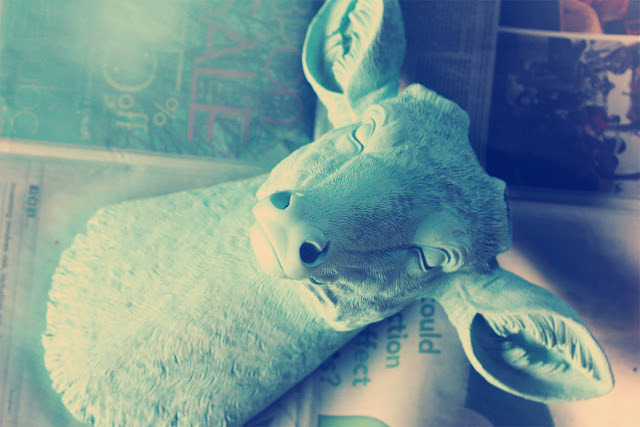 Just imagine a huge deer head being pulled out of a box. Quite silly. 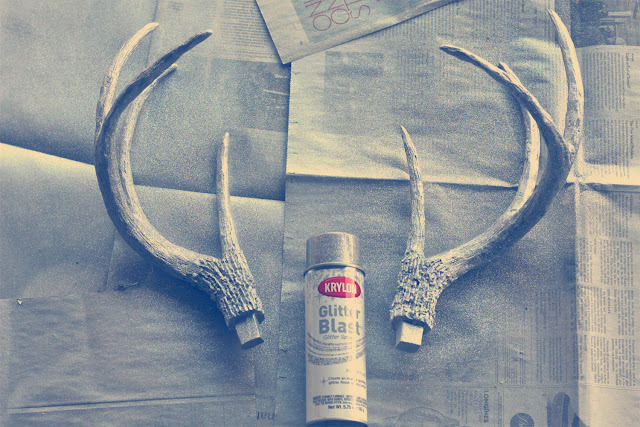 3 .Spray paint the antlers a metallic/chrome silver & then coat them with glitter spray paint. 4. Let dry & Hang. - I also sealed the glitter paint because, well, I didn't want glitter all over my house. The glitter spray paint is pretty subtle, which I'm a fan of. 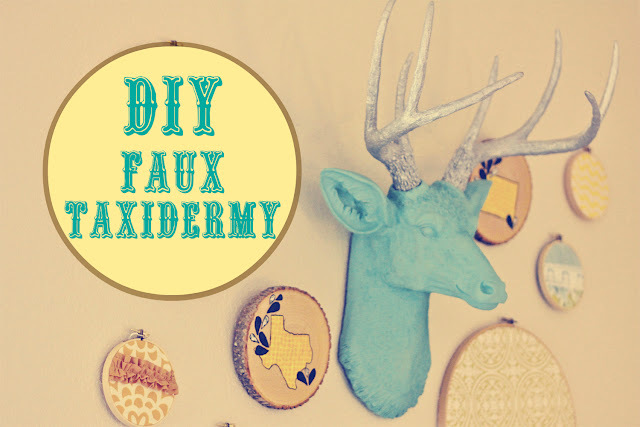 If you wanted a bit more "bam bam" you could use modpodge & a really fine glitter to coat them. -Make sure you prime & paint at many angles. 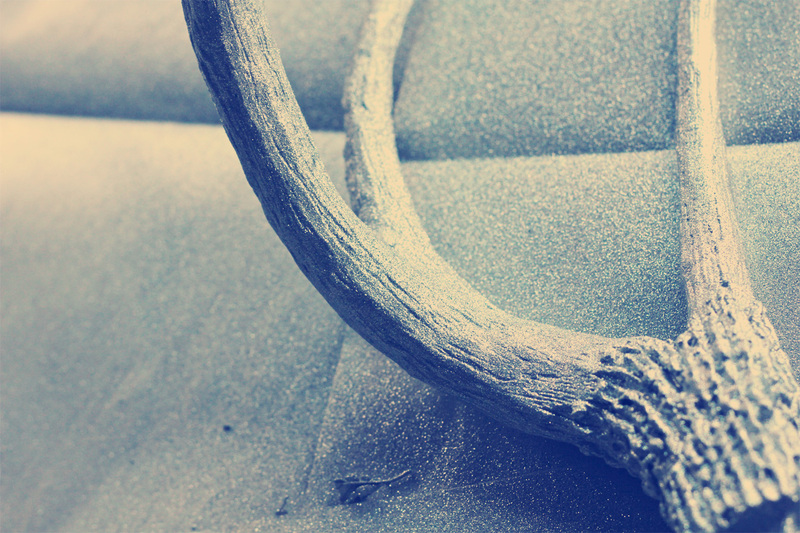 There are lots of little "crevices" that the paint can miss if you don't. 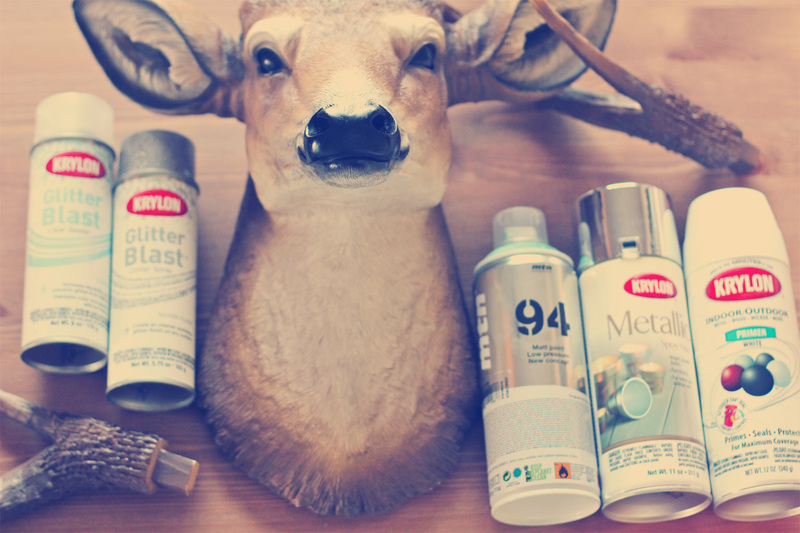 -Beware that once you spray paint the antlers the metallic silver, you will rethink your project & want to coat the entire thing in this shiny goodness. If our apartment was a bit more modern, I may have done that, but since it isn't...I stuck to the game plan. He will have some lights strung on his antlers during Christmas-time. Ya know, because he obviously needs MORE glam. Oh and if you're wondering? What color would you paint yours? 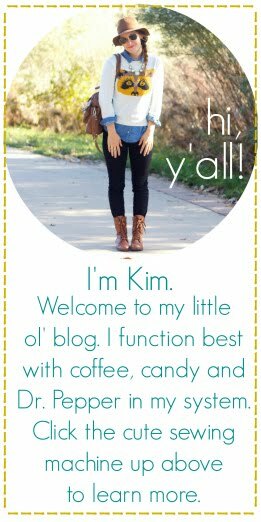 This is SO AMAZING Kim!!!! 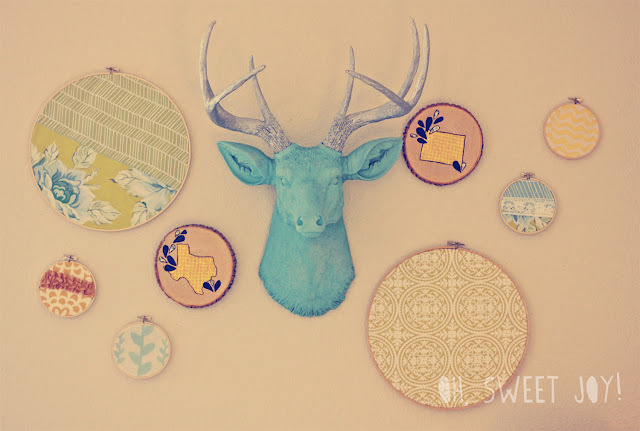 I LOVE the teal color + the sparkly antlers! haha! I must admit, when I saw the first photo in this post I thought, "I love that sparkle! I think I would have painted the entire thing with the sparkly paint!!" haha! This is great! If I had the money I would totally do it!! I just spit out my coffee at your peeps in laughter. I might go with orange! but I really love the turquoisy too. I just found you from the link party at sugar and Dots! So creative, i've been wanting to something like this. Thanks for the tutorial! !